When I watched the final episode of Nice Guy yesterday I thought the ending was clear as to what happened. How it came about was awkwardly presented but what happened was not disputable. Then came those who felt the ending was a dream sequence, but today the production confirmed that sequence was meant to be taken literally. Song Joong Ki gave a post-finale interview where he confirmed: Maru did not die, the ending is not a fantasy sequence, and Maru did remember Eun Gi but was teasing her for a bit until he handed her the rings which revealed to her that he remembers her. Those two got their happy ending. A production member explained that the opening sequence in episode 20 was changed – the clock hand runs forward instead of backwards, and the final shot is of a smiling Maru instead of a crying Maru – as a clear foreshadowing that this episode would be a happy ending. 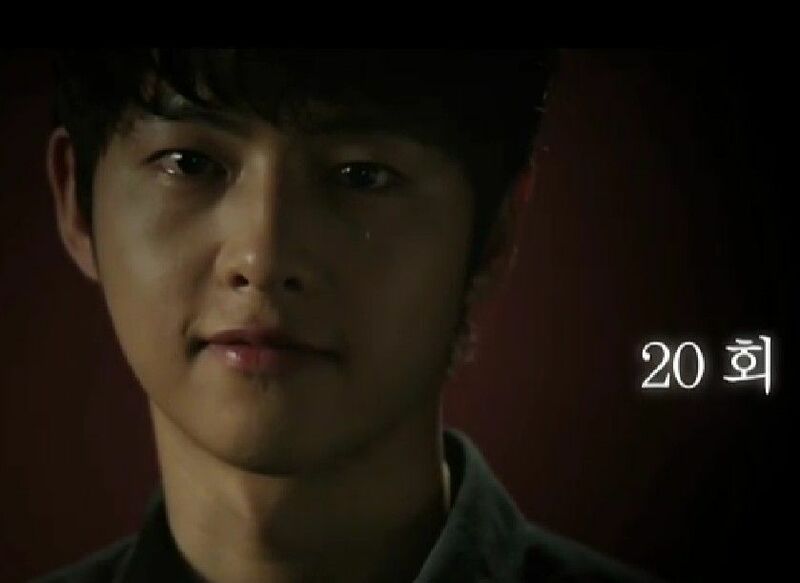 Eagle-eyed fans have noticed that its the same haircut Song Joong Ki in both shots of the opening (crying and smiling), indicating that Lee Kyung Hee intended for NG to have a happy ending from the outset. I don’t know about that, but I do appreciate how clever with the little touches this drama has been, and the changed opening sequence from episode 20 is yet another example of how this drama pays attention to detail. In the interview, Song Joong Ki also revealed the ages of the characters at the very end, Maru is 37 and lawyer Ahn is 50 (by the time he gets out of prison), so we can use that to figure out the rest of the character ages. He also said that the little girl pointing out that Maru goes every day to buy crappy food from Eun Gi is also a confirmation that he remembers her. She probably spent 6 years raising little Eun Seok and running Tae San while Maru was in medical school abroad. After Jae Hee got out of prison and Maru came back to open the clinic in the countryside is when Eun Gi left Tae San to Jae Hee and Eun Seok and followed her heart to Maru. The name of her bakery is Silvertop and in Korean silver is pronounced eun and top is pronounced maru. EunMaru bakery, that is just too cute. I suppose I could keep nitpicking the ending but I’m actually really content and at peace with it, flaws and all.